I’ve had a bit of a rubbish couple of weeks as I wrote about earlier this week and I think there is a tendency to get a bit bogged down with the not so great things that are happening and fail to notice all of the lovely moments that litter my life. 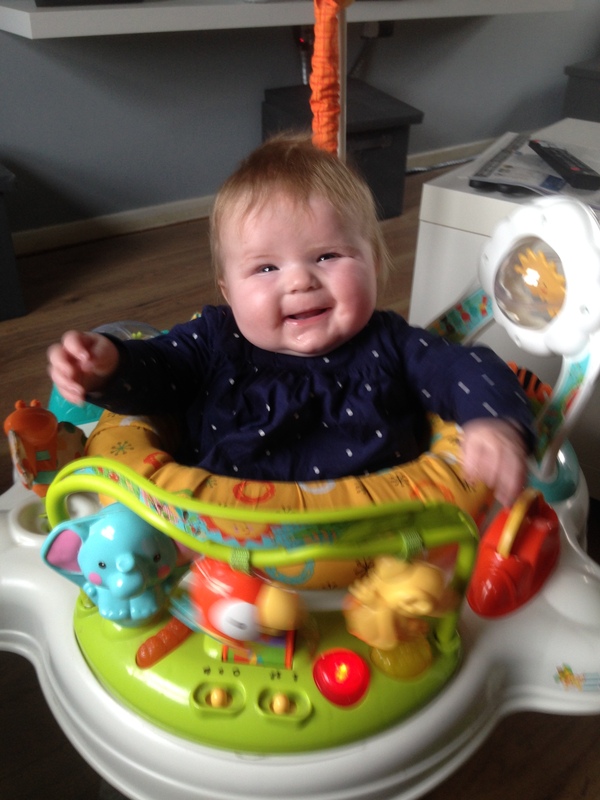 Lottie’s face when I put her in her new jumperoo – she is absolutely delighted with this lovely gift from my friend and has spend a good few happy hours in there this week bouncing and grinning. 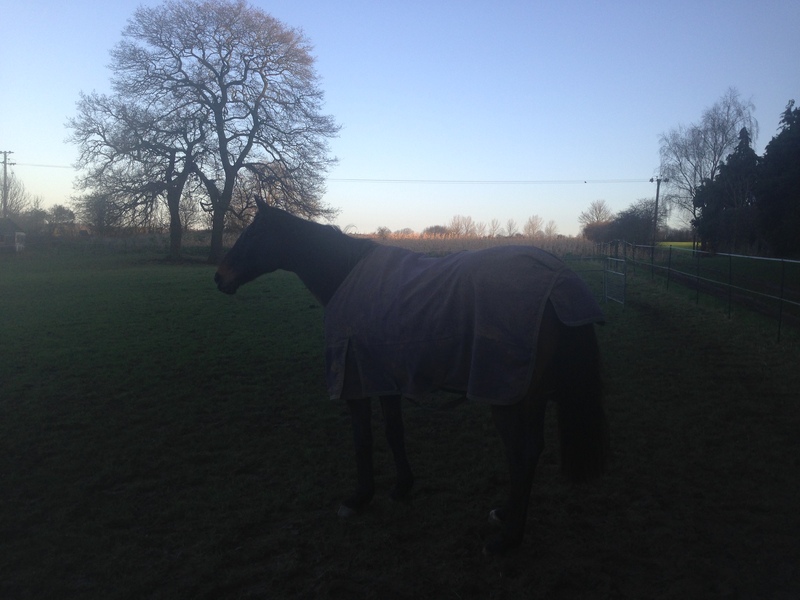 Ben the horse has not been looking too healthy recently. He has lost a fair bit of weight (as old horses tend to in the winter) and has been a little lacklustre, so I’ve started him on some new feed and Equivite supplement and he has really put some weight on this week and is looking much more glossy and cheerful, and even dragged me in from the field for dinner last night – a sure sign he is feeling better. Mum had an appointment with a Parkinson’s advisor who has helped to allay her fears a little and put her in touch with a specialist nurse who should be able to help with her medication. She seems much happier, which is a huge relief. The sun has been shining. 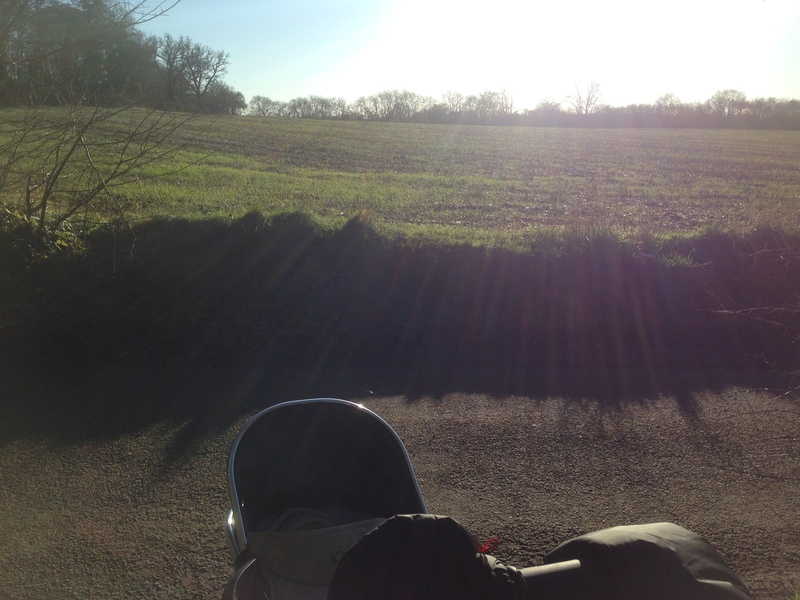 I love winter sunshine, and Lottie and I have been wrapping up and going out for some lovely walks around our village. I have lost 4lbs. The overindulgence of Christmas/New Year/Mr M’s holiday has stopped and I’m back on track to get rid of the mummy tummy. Our lovely neighbour came over yesterday with some clothes and books for Lottie – I’m staggered by how kind people are sometimes – we barely know the lady as we’ve only lived here five months, but she thought of us when her daughter was clearing out her children’s rooms. We have nearly finished giving our kitchen a facelift and I absolutely love it. Lottie turned five months old today. We have managed to keep her happy and healthy for a full five months!! All in all, that’s not a bad week for someone who thought they’d had a bit of a rubbish one is it? What has made you happy this week? Well done on losing a bit of weight too – my willpower has gone out of the window. I find January such a slog that it’s harder to resist all the yummy treats! Aren’t they brilliant – she’s happy in there for ages! Its good to know that Ben is already in good shape. Winter season is where old horses are having a problem specially those who don’t have teeth for grinding the grass. Good thing also that there are supplements that are available.